1. 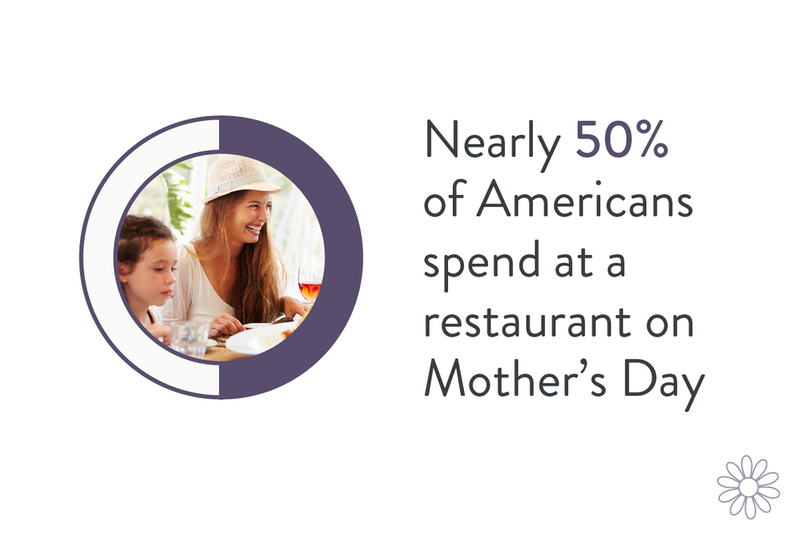 Mother’s Day is the most popular day of the year to dine out, with nearly 50% of Americans spending at a restaurant on Mother’s Day. 2. 49% of Mother’s Day restaurant diners will choose to have dinner out, 33% for lunch, 24% for brunch, and 8% for breakfast. 3. Mother’s Day is the most popular day of the year for brunch reservations. 4. 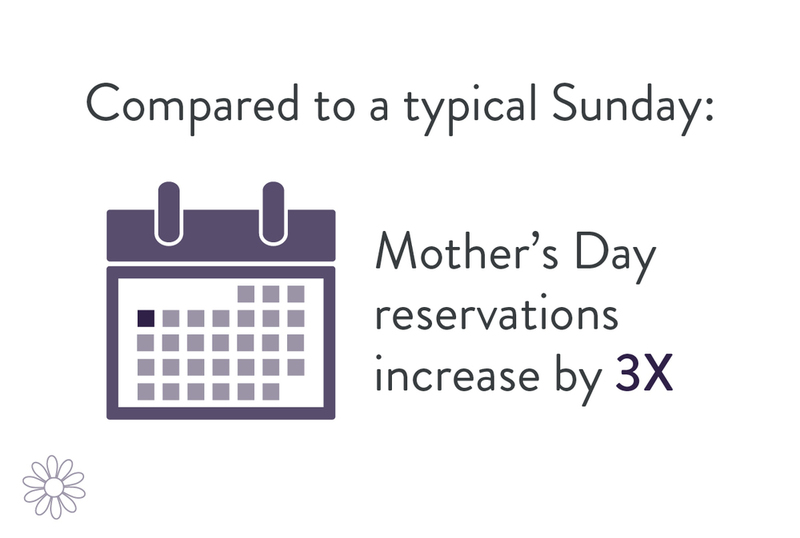 Compared to a typical Sunday, Mother’s Day reservations increase by 3X. 5. Mother’s Day boasts more group dining reservations than any other day of the year. 6. 73% of diners will make reservations at a restaurant they’ve never tried. 7. 75% of diners will book reservations within the week before Mother’s Day. 8. 62% of diners will choose a casual dining restaurant on Mother’s day, 25% will choose fine dining, 15 % will choose a buffet, 8% will choose fast-casual, and 2% will choose quick service. Mother’s Day is an opportunity to celebrate moms as well as increase your restaurants’ revenue. Make sure that you’ve prepped for the day well. Have you updated your menus? Try offering a festive special or an all-inclusive Mother’s Day brunch package. Some restaurants may consider a moms-eat-free promotion. No matter what you’re doing, make sure to tell your customers about it now while they are picking which new restaurant to try this year. Sources can be found here and here.